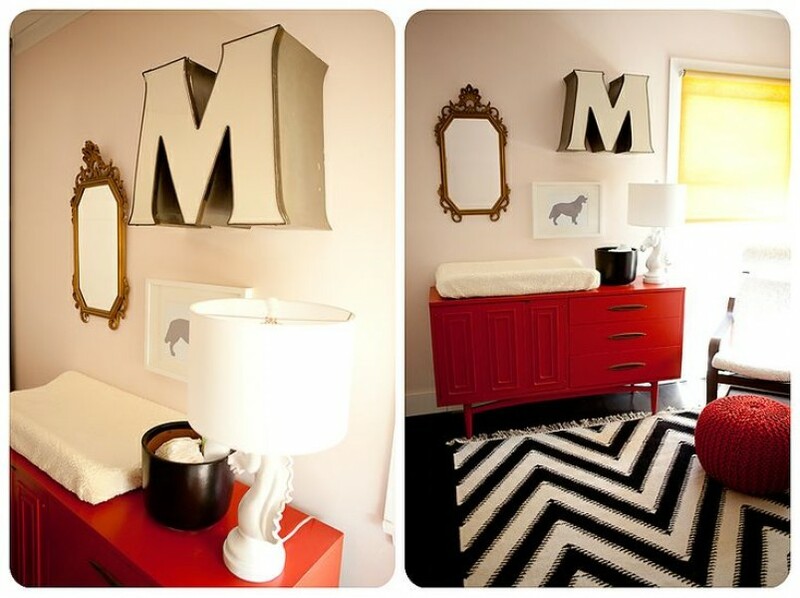 If you don’t already have your child’s initial on the wall of their room, I’d start thinking of incorporating it because this trend is spreading like wildfire and there’s no stopping it. Wall letters are not a “new” thing by any means, they’ve been around forever but lately I’m seeing it in different forms. From the OG wood letter, to marquee light letters, overscale murals, wall decals, framed art, bookcases….it’s basically boarded a crazy train... And I like it! I think it’s such an important feature, and by important I mean “decoratively important”, because it adds that personalized element to the room. I was researching a completely different topic the other day and realized that there were two personalization examples within that post as well. 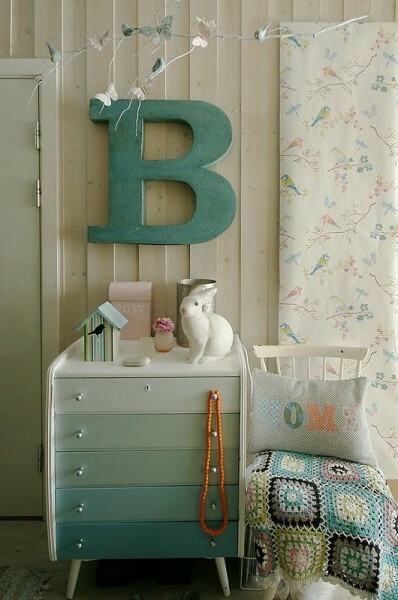 You have to check out this clever globe in a kids room that an initial was painted on, it’s really cool. I remember (and still have) the wood name plate that was in my room circa 1987. Yep, all 9 letters of my name carved in wood. That was as personalized as it got back then. If anyone had suggested to plaster my initial “S” onto my wall from floor to ceiling, it would have sounded like an indulgent over-the-top idea. Fast forward to 2014 and if you don’t have your child’s initial in the room at 9′ tall then you’d better hop back on the cool train with the rest of ‘em or risk criticism (gasp) at your next mommy and me play date in the park. 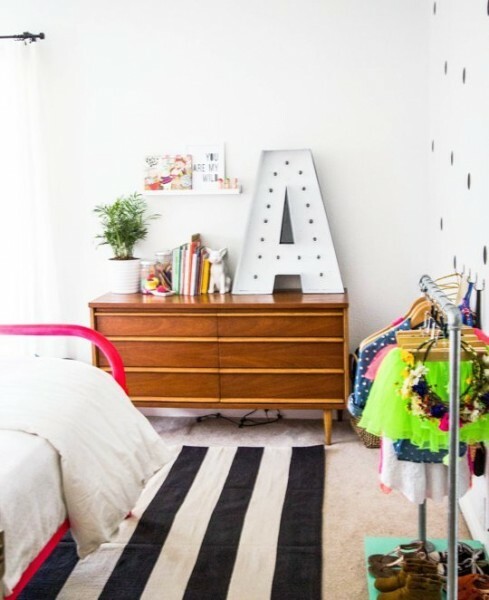 Well, maybe not that critical but if you are thinking of redecorating your kids room or are currently planning your nursery to-be, I hope these ideas will spark some letter decor inspiration for you!